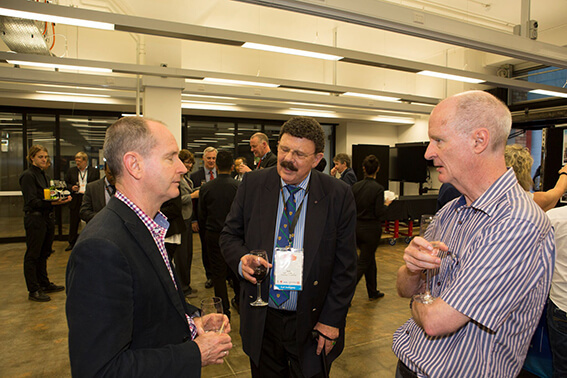 The official opening of the ARC Centre for Automated Manufacture of Advanced Composites (AMAC) was held on Monday, 27th Nov’2017 at UNSW Sydney in conjunction with the 9th Australasian Congress on Applied Mechanics (ACAM9). 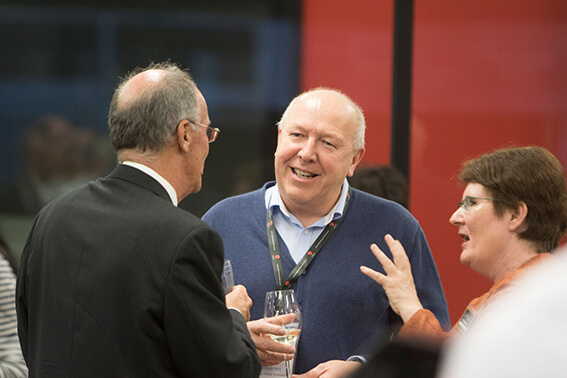 Together the events were attended by over 250 distinguished delegates from all over the globe. 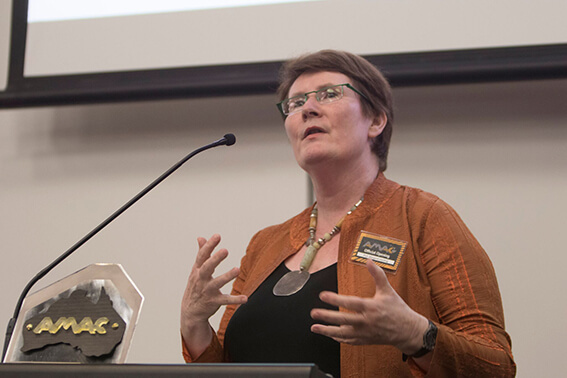 Dr. Fiona Cameron, ARC Senior Executive Director officially launched the centre on behalf of the ARC CEO, Professor. Sue Thomas. In her opening address, Dr. Cameron highlighted the objective of the ARC Industrial Transformation Training Centre scheme to foster opportunities for higher degree research students and postdoctoral fellows through industrial training. 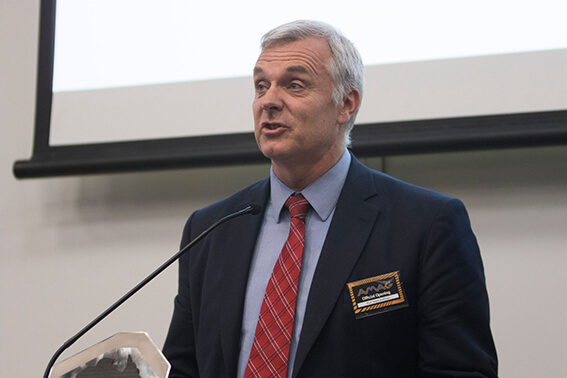 UNSW Deputy Vice-Chancellor (Enterprise), Professor Brian Boyle stressed on the importance of industry engagement, national and international collaboration fostered through AMAC to achieve the best results. 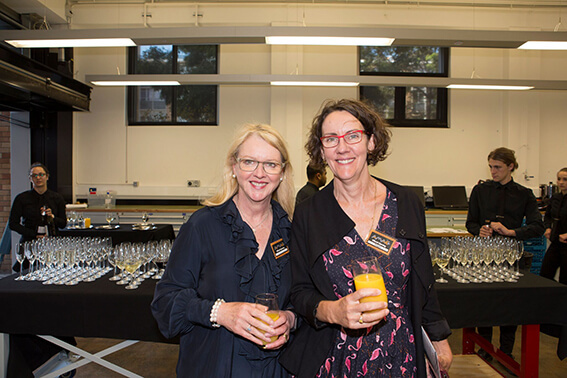 ANU Deputy Vice-Chancellor, Professor Margaret Harding highlighted on the nature of engagement by both G08 universities in establishing such a Centre and emphasised on the research alliance and importance of working closely with the partner organisations. 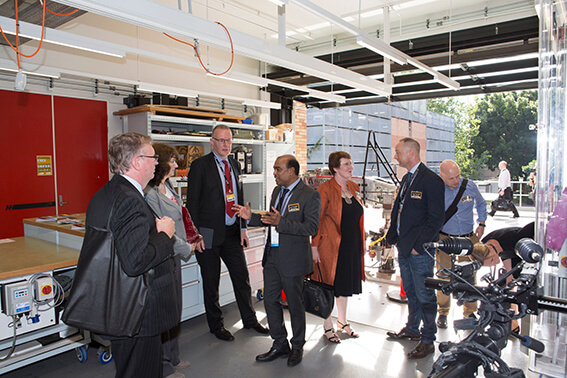 UNSW Engineering Dean, Professor Mark Hoffman congratulated the investigators from UNSW, ANU and the Partner Organisations of the Centre and presented on the importance of industry engagement and social contributions. 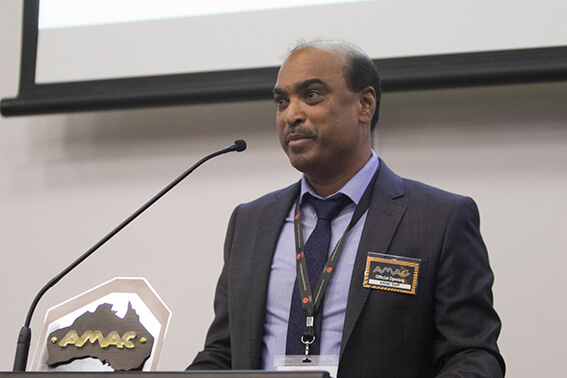 AMAC Director, Professor Gangadhara Prusty shared with the audience on the focus of the Centre; that is to incubate the next generation of cutting-edge composite manufacturing innovators to drive business in the increasingly globalized and highly collaborative industry environment. 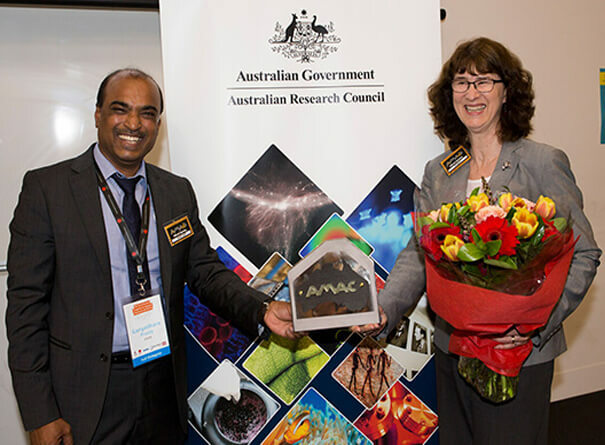 This was followed by Professor Murray Scott, Chairman of ACS-A who said, “AMAC is the culmination of many years of hard work that has seen important research facilities and networks built up – positioning UNSW, ANU and their partners to take on the challenges set for the Centre”. 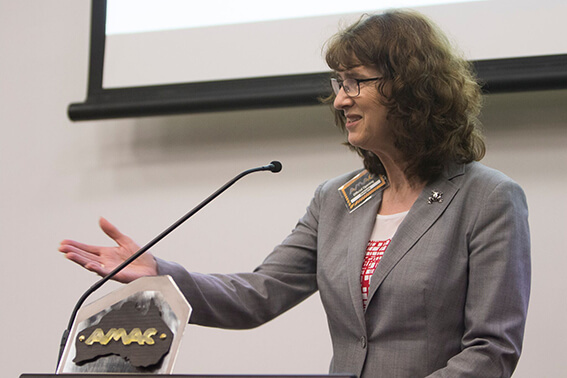 After the ribbon cutting ceremony, Dr. Cameron was presented with an “Australia” plaque that was designed and manufactured at AMAC. 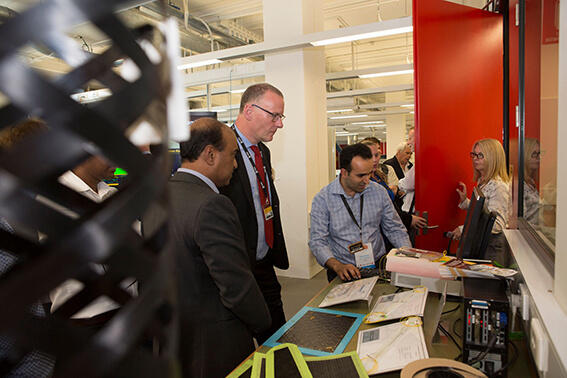 This multi-material plaque combines the latest in additive manufacturing technologies. 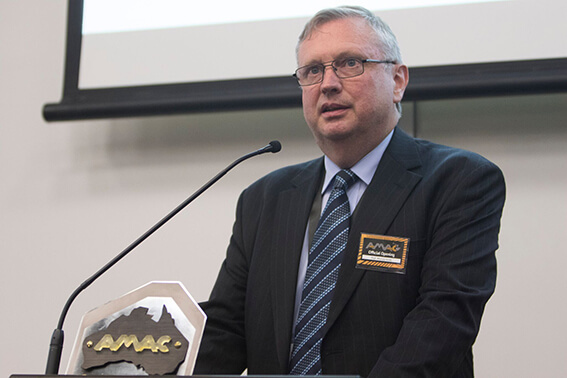 The AMAC logo was created from a specialised 3D printer while the Carbon-fibre Australian map was manufactured using our 7-axis Automated Fibre Placement (AFP) setup and cut to shape with a Multicam CNC routing machine. 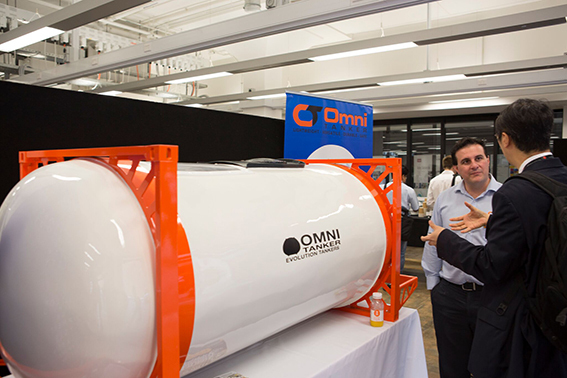 As part of the official opening of the Centre, our AMAC industry partners (local and international) exhibited their cutting-edge products from the Omni Tanker world-class high-tech carbon-fibre composite tanks for road transportation of bulk liquids to the Carbonix state-of-the-art fixed-wing VTOL hybrid RPAS, designed for long endurance and extreme weather conditions. 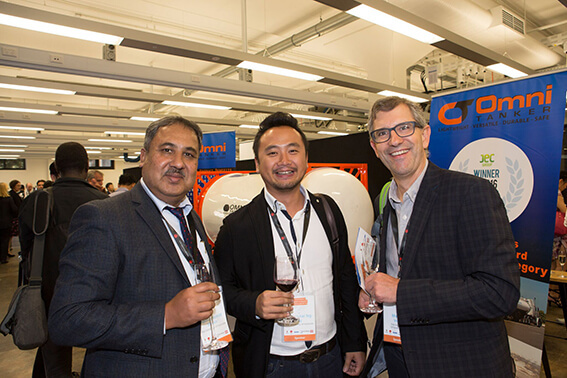 Park Electrochemical Corp who is AMAC’s Automated Fibre Placement prepreg material contributor, showcased their core capabilities in the areas of polymer chemistry formulation and coating technology at the exhibition. 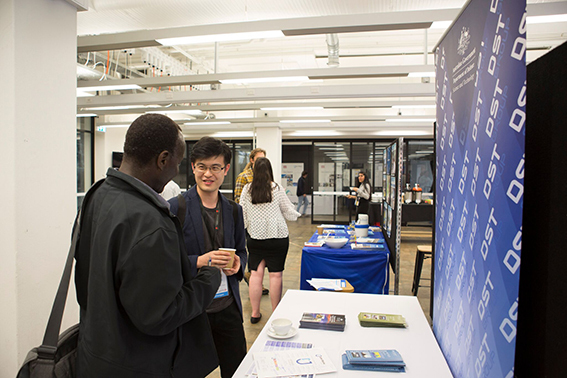 ANSTO presented on their exceptional research capabilities including: the OPAL nuclear research reactor, the Australian Synchrotron, accelerators, cyclotrons and neutron beam instruments. 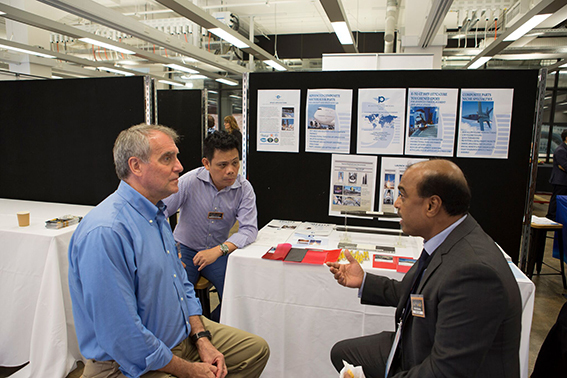 DST Group provided information on their research divisions and also gave an insight on how DST Group engages with small to medium enterprises. Our industry partner, Thermo Fisher Scientific (previously known as FEI) gave a very interesting talk during the ACAM 9 conference lunch break on the Thermo Scientific HeliScan micro CT. By combining both advanced helical scanning and iterative reconstruction technology, HeliScan provides quantitative analysis in a wide variety of materials science applications. 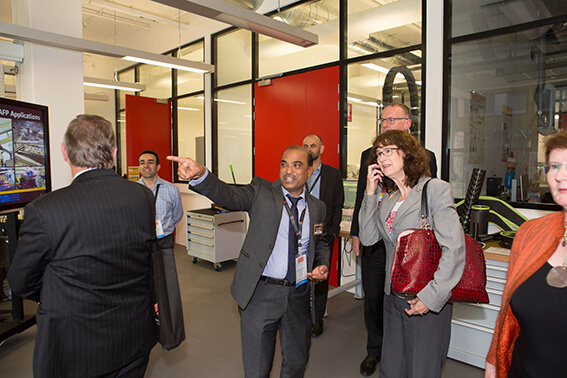 Tours of the Automated Composite Laboratory at UNSW was also organized for the official opening event. 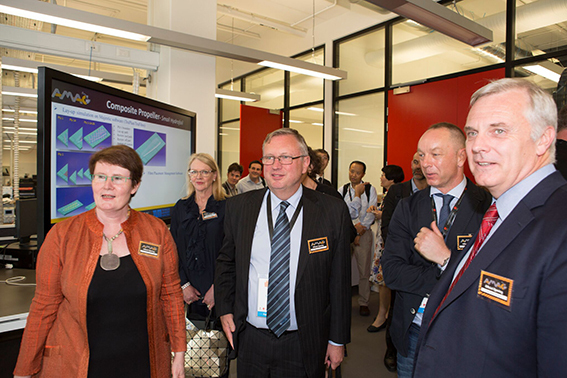 This world-class facility is a true “one-stop shop” for fundamental and applied research on advanced composites is the UNSW node of AMAC. 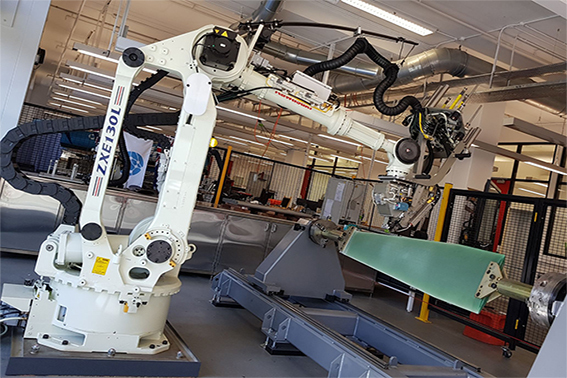 Delegates were also treated to a live demonstration of the digital manufacturing of a full scale composite hydrofoil using AMAC 7-axis Automated Fibre Placement (AFP) setup. 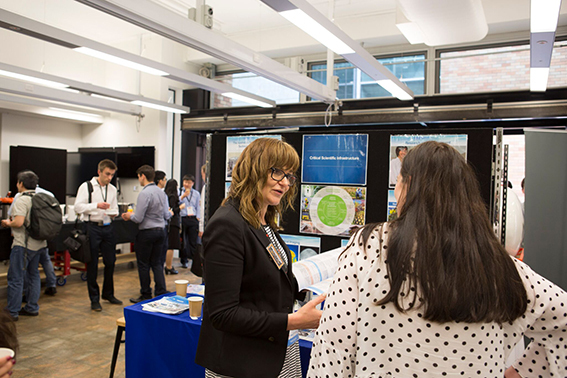 This project is in collaboration with the Maritime Platforms Division of DST Group, UNSW is developing super-efficient composite propellers for large ocean-faring vessels. 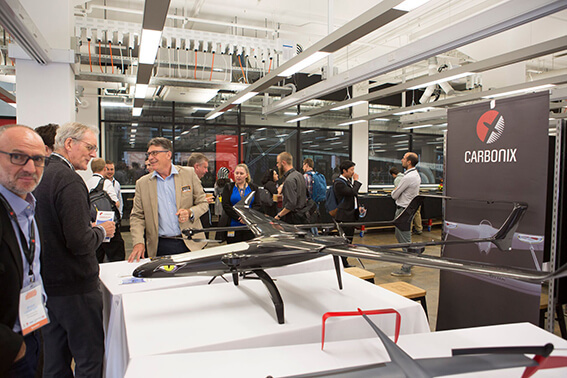 This novel propeller uses an exotic property of composites, bend-twist coupling, to achieve unparalleled efficiency across a range of operating conditions. 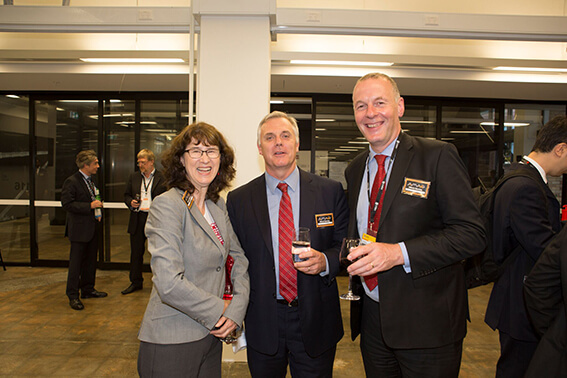 To celebrate the official opening, delegates were treated to a delicious selection of canapes and champagne. 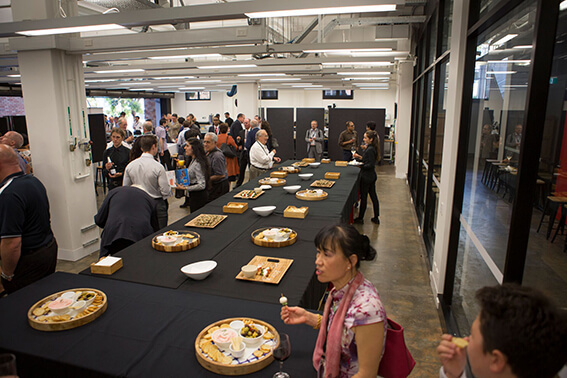 This turned out to be an excellent networking opportunity for all attendees. 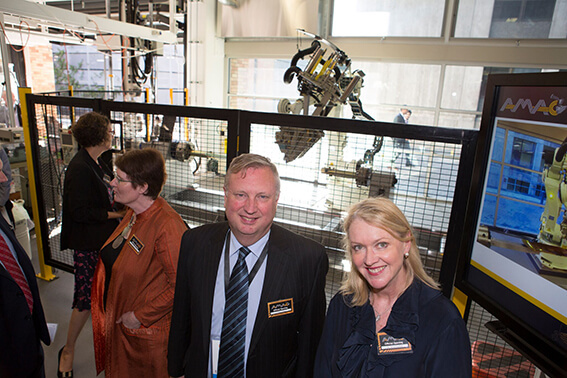 AMAC would like thank Dr. Fiona Cameron for attending the event and officially opening the centre. 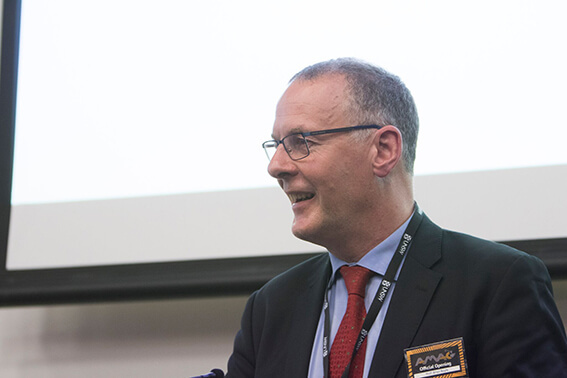 We would also like to thank all the invited speakers and delegates who joined us to make this a truly memorable event. 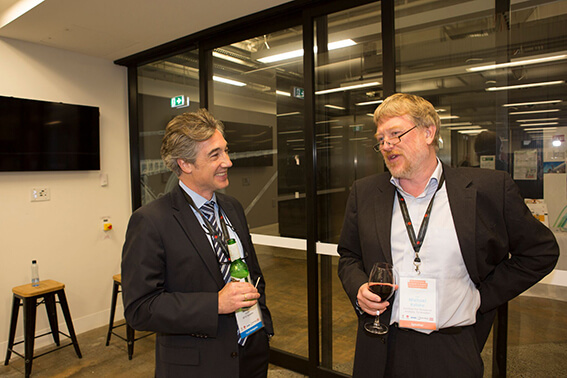 A media release about the event by the Australian Research Council is also available here.